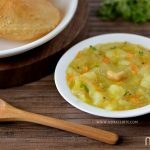 Poori is a deep fry common and famous breakfast recipes in India. 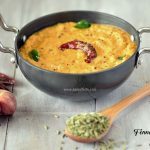 It is usually prepared with wheat flour, salt and water. 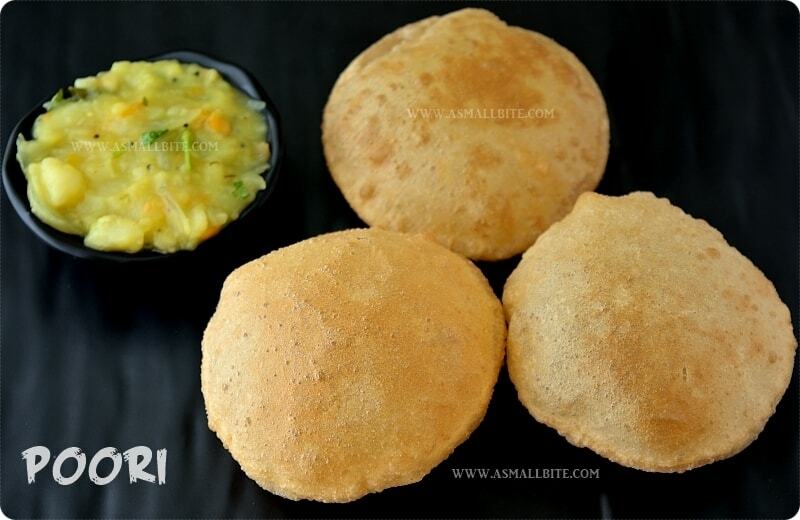 Though it is a simple and basic recipe, how to make puffy puri is a challenge !!!. 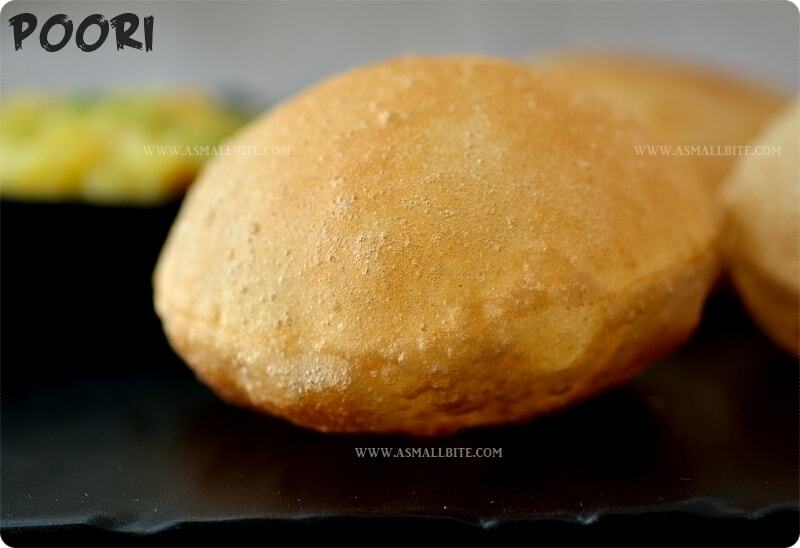 Some tricks and tips have to be followed to make this delicious poori recipe. 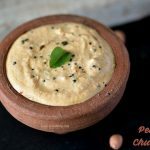 This poori recipe is loved and liked by everyone from kids to elders irrespective of all age groups. 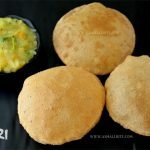 Lets go the recipe..
Poori recipe is a common breakfast recipes usually prepared with wheat flour, salt and water. 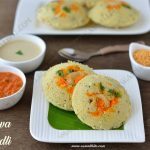 Though it is a simple, how to make puffy puri is a challenge. In a bowl add flour, sugar, salt, and just mix it. Then add water little by little to make it a crumbled texture. Again knead the dough, if needed sprinkle very little water. The dough should be stiff, not too dry or hard. It should not be soft like chapati dough. Add 2 tsp of oil and knead the dough for another 2 to 3 minutes so it gets smooth. Keep covered by side for 10 minutes. Now divide the dough into equal portions, roll it into small balls without any cracks. Take a rolling board and rolling pin. Sprinkle some flour on the ball. Start rolling the ball into small circles. Don't use more flour for dusting, else the oil gets spoiled. The thickness of the poori should be medium not too thick or thin. Also there should not be any holes in the poori. Keep the poori in a plate or paper not overlapping each other. Heat enough oil in a kadai, drop a small piece of dough and if it raises immediately, the oil temperature is perfect. The oil should not be fuming nor the flame should not be low. Now slide the poori into the oil. When it starts to fry a little, press the poori on top very gently so that it puffs very well. Also pour little hot oil from kadai with the same ladle over the poori and flip to the other side. Allow it to cook for 2 secs till the bubble ceases. Remove and drain it tissue paper. Adjust flame accordingly and continue the same steps with remaining poori's. Hot puffy poori is ready. 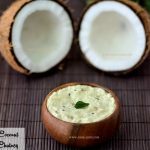 Serve this with Poori masala. 1. In a bowl add flour, sugar, salt, and just mix it. 2. Then add water little by little to make it a crumbled texture. Again knead the dough, if needed sprinkle very little water. The dough should be stiff, not too dry or hard. It should not be soft like chapati dough. Add 2 tsp of oil and knead the dough for another 2 to 3 minutes so it gets smooth. Keep covered by side for 10 minutes. 3. Now divide the dough into equal portions, roll it into small balls without any cracks. Take a rolling board and rolling pin. Sprinkle some flour on the ball. 4. Start rolling the ball into small circles. Don’t use more flour for dusting, else the oil gets spoiled. The thickness of the poori should be medium not too thick or thin. Also there should not be any holes in the poori. Keep the poori in a plate or paper not overlapping each other. Heat enough oil in a kadai, drop a small piece of dough and if it raises immediately, the oil temperature is perfect. The oil should not be fuming nor the flame should not be low. Now slide the poori into the oil. 5. When it starts to fry a little, press the poori on top very gently so that it puffs very well. 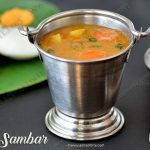 Also pour little hot oil from kadai with the same ladle over the poori and flip to the other side. Allow it to cook for 2 secs till the bubble ceases. Remove and drain it tissue paper. Adjust flame accordingly and continue the same steps with remaining poori’s. 1. Instead of wheat flour, Maida / All Purpose Flour can be used or both flours can be used in equal proportion. 2. 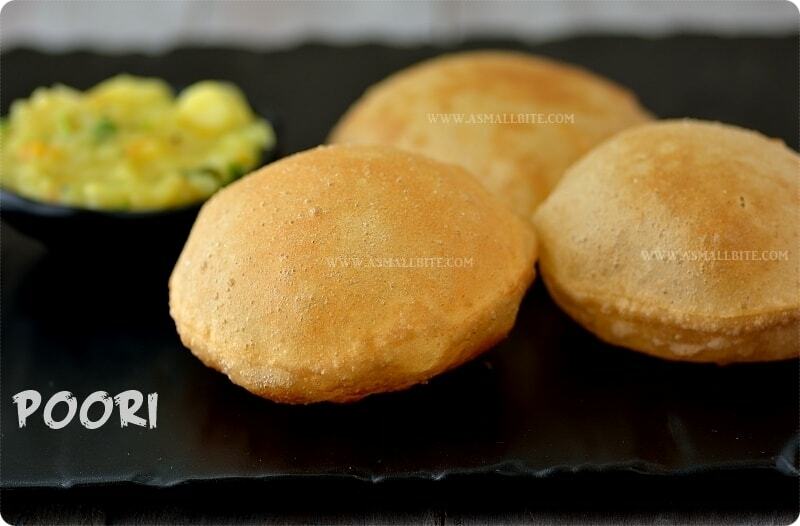 Addition of sooji / rava, gives very crispy poori’s and the poori’s don’t break after it cools down also. 3. Sugar gives nice golden brown colour to the poori. 4. Half tsp of ghee can be added for flavour and softness when kneading the dough, but don’t add more. 5. The consistency of the dough is very important. If it is hard or sticky, the poori’s turn hard. 6. If the dough is soft, the poori’s absorb more oil. 7. If the dough is dry, just knead it, don’t add water. 8. After kneading the dough, just give 10 minutes resting time not more than that, else the poori’s absorb oil. 9. The thickness of the poori while rolling should not be thick or thin and it should be medium. 10. Also if there are holes in poori while rolling, the poori’s wont puff up. 11. Don’t use more flour when rolling, because the oil gets spoiled. 12. The oil temperature should not be fuming, else the poori’s turn dark brown and tastes bitter. 13. Also the oil temperature should not be low, just retain the temperature accordingly.